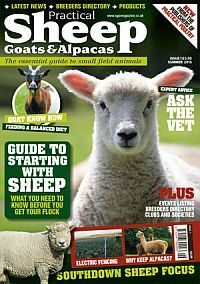 Smallholding is an informative and entertaining ‘one-stop-shop’ for enthusiasts, providing straightforward, down-to-earth features and news covering all the essentials owners and potential owners need to know. Not only will it help readers with a passion for these animals decide on the right breed for them, but will assist them in sourcing breeders too. Readers will enjoy the in-depth livestock buying features, practical articles on key aspects such as breeding, housing, feeding and husbandry, owners’ stories, health and welfare-related Q&As, delicious recipe ideas, regular competitions and a unique breeders’ directory. This directory will be a first point of contact for people wanting to keep these farm animals. An informative and entertaining ‘one-stop-shop’ for small field animals enthusiasts. Published in English - bi-monthly. Allow 6-10 weeks for initial delivery.